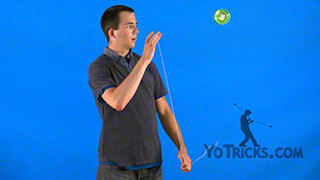 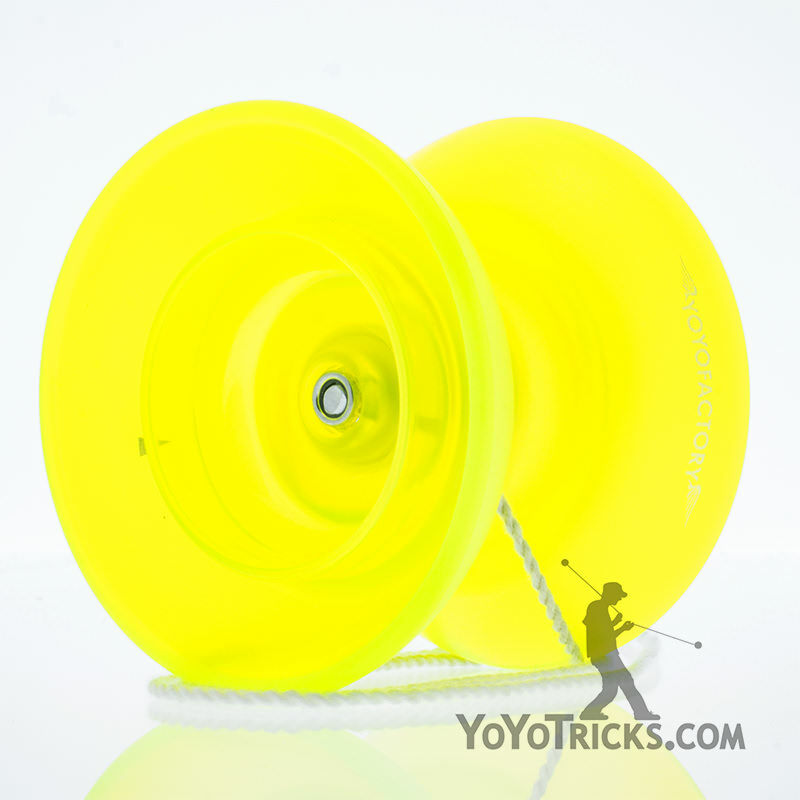 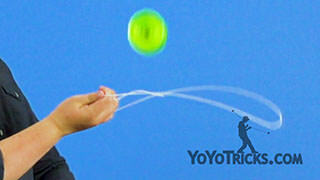 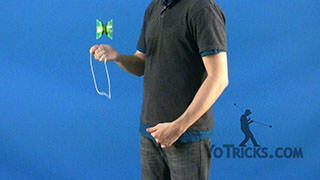 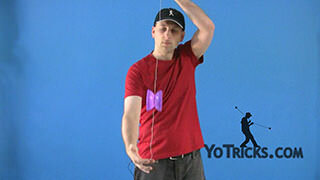 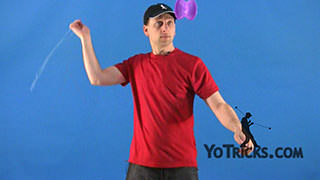 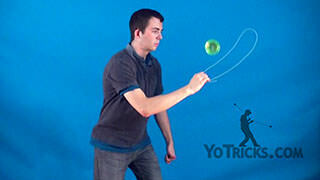 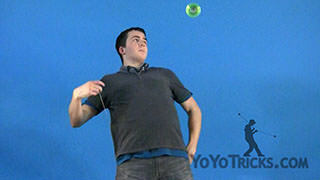 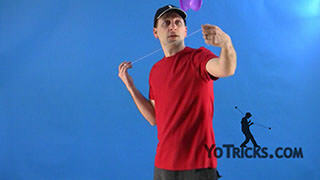 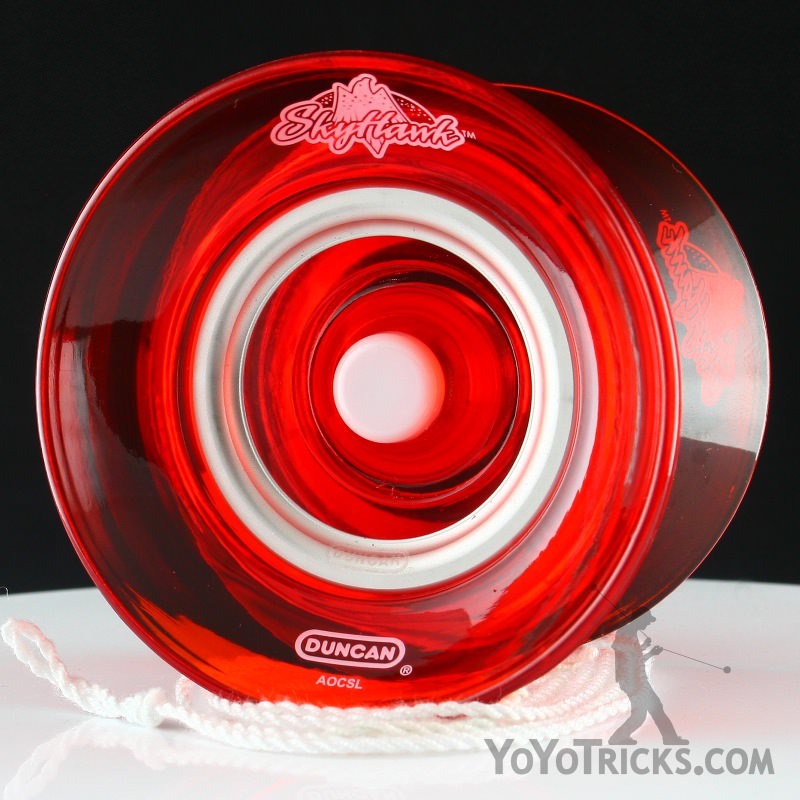 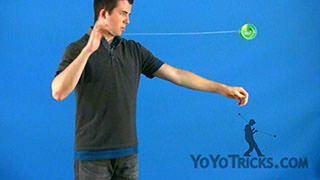 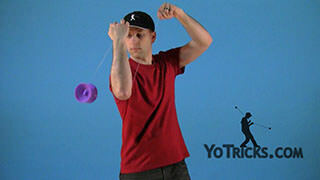 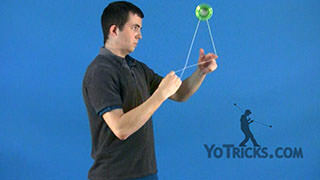 Learn the Infinite Star (aka Rolling Star) Offstring Yoyo Trick. 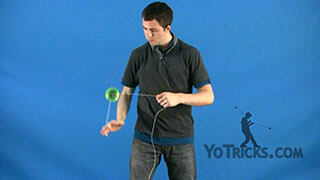 Infinite Star aka Rolling Star Yoyo TrickThis trick is called the Infinite Star (aka Rolling Star), and it looks like this. 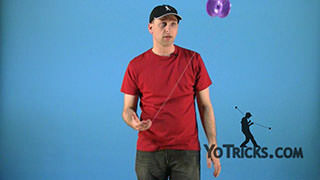 The Infinite Star, it is actually not too complicated, we’ll break it down really fast, and then I will show you how to do the weaving in and out. 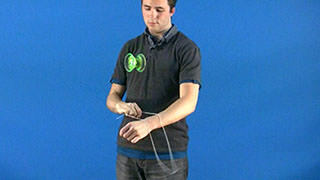 The first thing you want to do is, normally when you grab the string like this you pinch it with your first finger and your thumb, but you are actually going to pinch it with your middle finger and this will leave your first finger free. 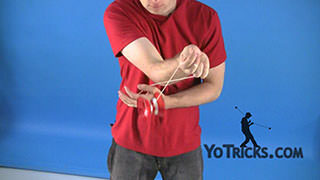 Then you are going to stick your thumb on your opposite hand in between the strings and then roll the yoyo right over the wrist on your yoyo hand. 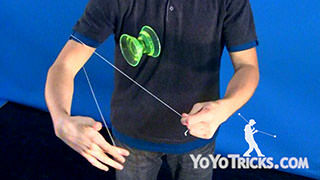 You are going to take this string, the left string, and lift it up with the first finger on your opposite hand. 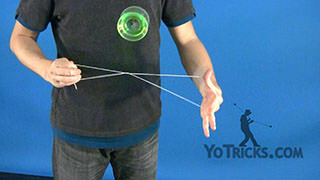 Then you have got this string wrapped around the first finger on your yoyo hand, you just want to get that off. 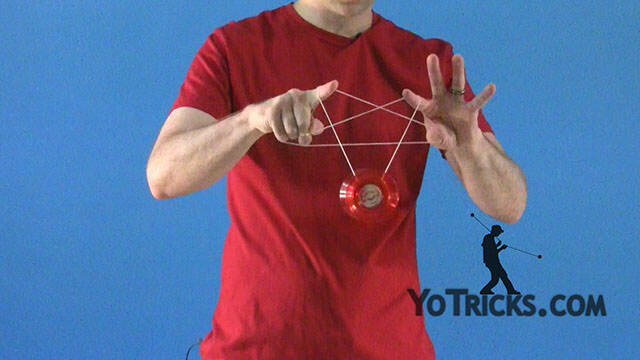 The last thing that you want to do is take the string that is wrapped around the wrist on your yoyo hand and bring it to the end of your finger, and you can just shape it. That is what makes the star. 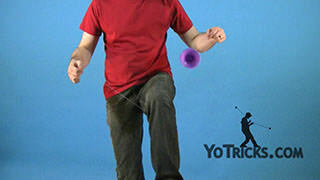 Once you have got it into the star, all you are going to do, to do the Infinite Star, is roll it over your fingers and catch it on that outside string, just like that. 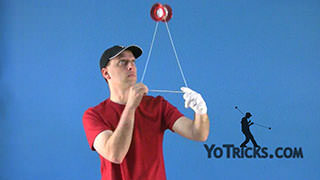 It might make it a little bit easier if in the middle of your roll you pull your hands apart, just a little bit. 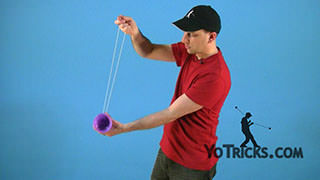 That will help it get on that string. 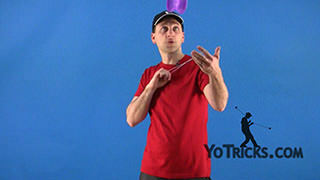 To dismount, all you are going to do is toss the yoyo straight up, and you are going to let the string off of these fingers right here, then you are going to catch it on the bottom string that is down here just like that. 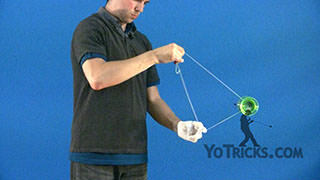 And that is the Infinite Star.